The time is upon us for making decisions. 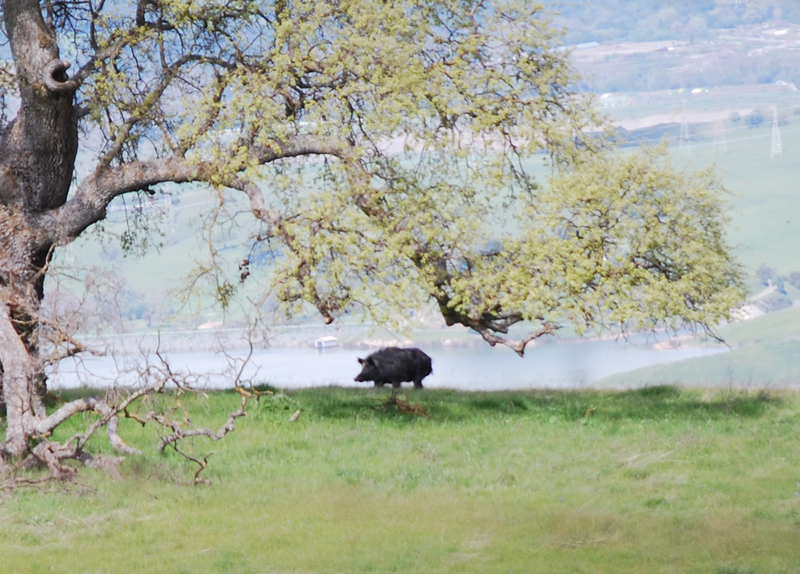 June 2 is the deadline for entering the California tag lottery. With three deer preference points I’m hoping that this with be an “X” Zone year. That’s pretty good standing in the deer category. We put in for an archery hunt as second choice, but hopefully that won’t come into play. 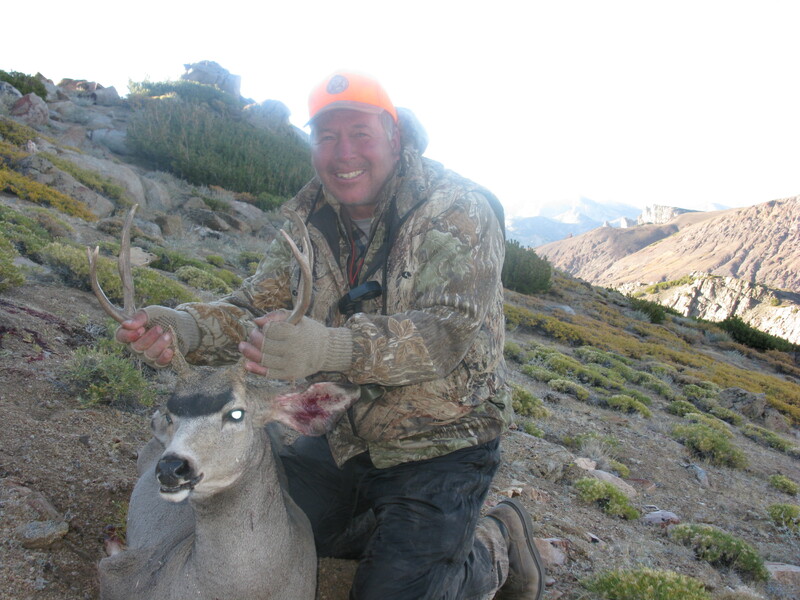 My last X zone hunt produced this buck. If drawn again, should I holder out for something bigger? Good question. Bought a bear tag and bobcat tag this year. This may be a first for me in the bear and bobcat tagging category, but I think it’s time – dog or not. Sheep, elk and antelope are all in, but I’ve got one less than the maximum preference points, so my chances could be better. You never know. Bought a few extra “raffle” chances for deer and elk. You never know, luck could strike. 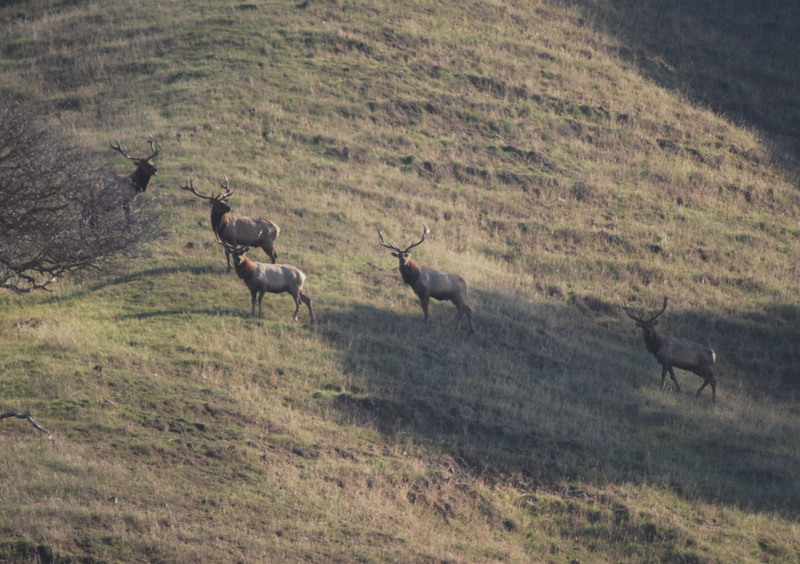 My personal choice for the elk lottery was the Cache Creek bull elk hunt. Somebody will get it. I also bought my type “A” season pass for the refuges. Why not get it done early? As holder of a lifetime hunting license and first deer tag, a couple boxes were automatic. I also get several pig tags as part of the lifetime license program. Been seeing a few pigs around this year. Everything arrived in the mail last week. Now it’s time to go through the ticker tape and make sure it’s all there. Anticipation is part of the fun of hunting. The ponds of spring and early summer are alive with insects, amphibians and reptiles. 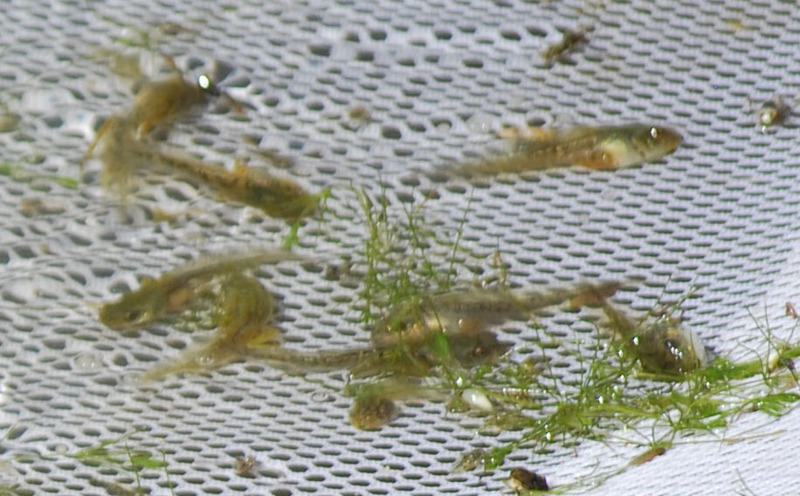 Here are a few from yesterday’s pond survey. 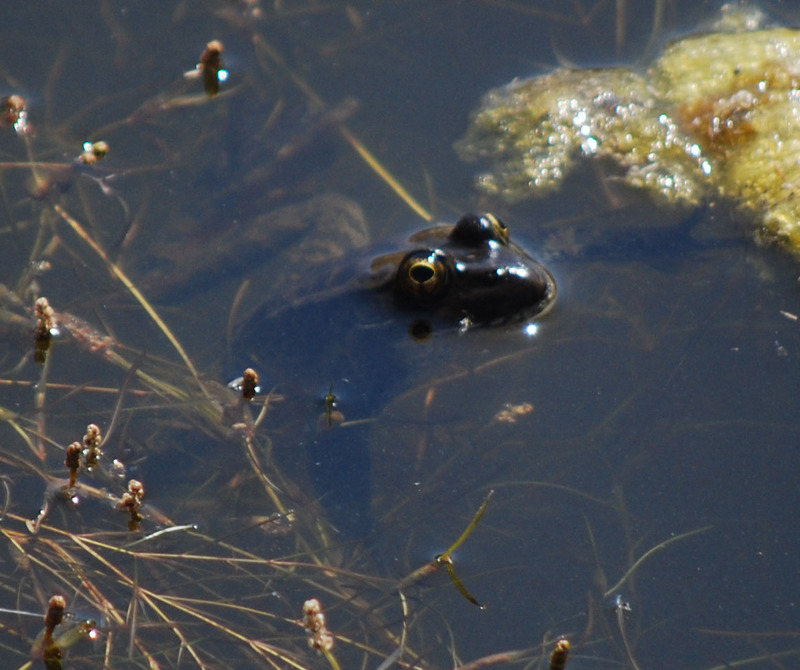 As the weather warms, California red-legged frogs are more visible. This frog is a sub-adult. Each pond has tadpoles, sometimes just tree frog and other times tadpoles of red-legged frog, western toad and tree-frogs. Tree-frog tadpoles were present in every pond. 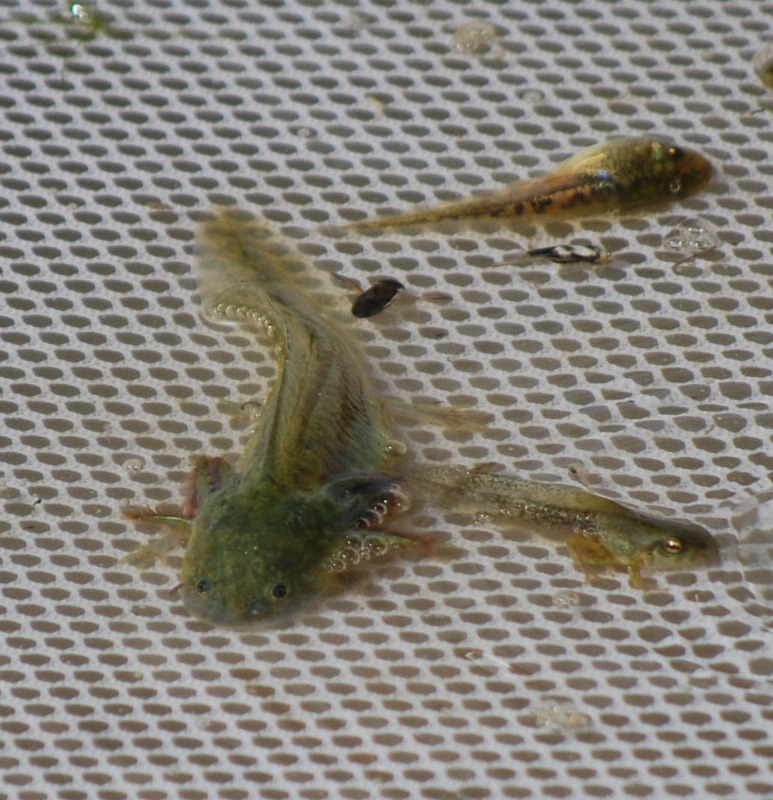 The California tiger salamander larvae we found were approaching about half the size of mature tiger salamanders. Their gills are apparent. 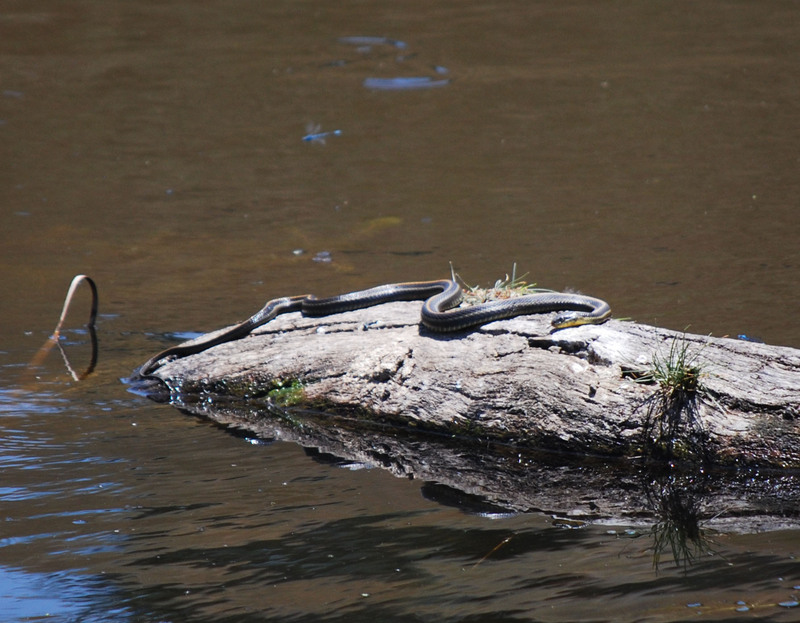 A garter snake sunned itself on a floating log. 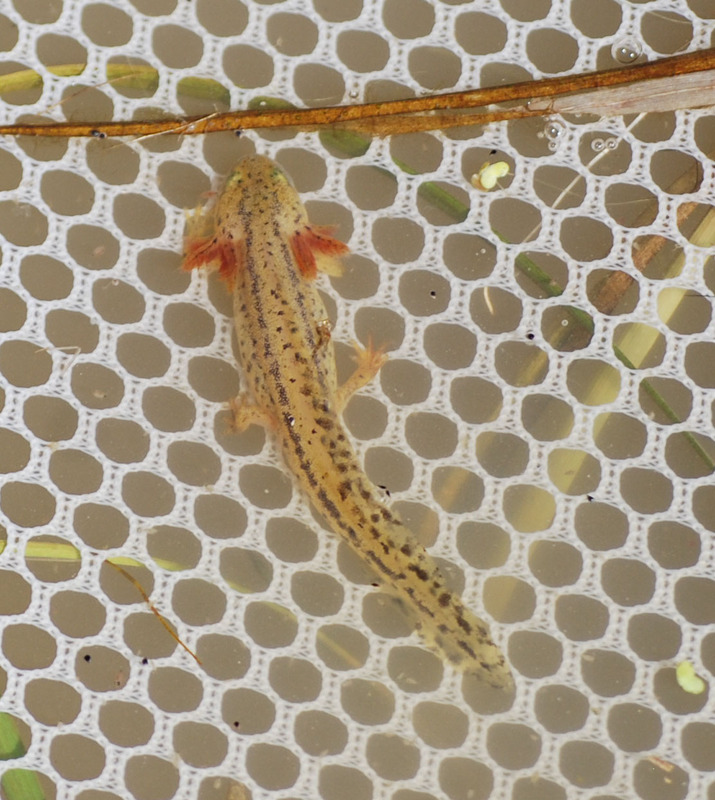 This is a Pacific newt larvae that overwintered in the pond. The ponds contained many dragonfly nymphs. At one pond a “squadron” on red dragonflies gave me a photo opportunity. 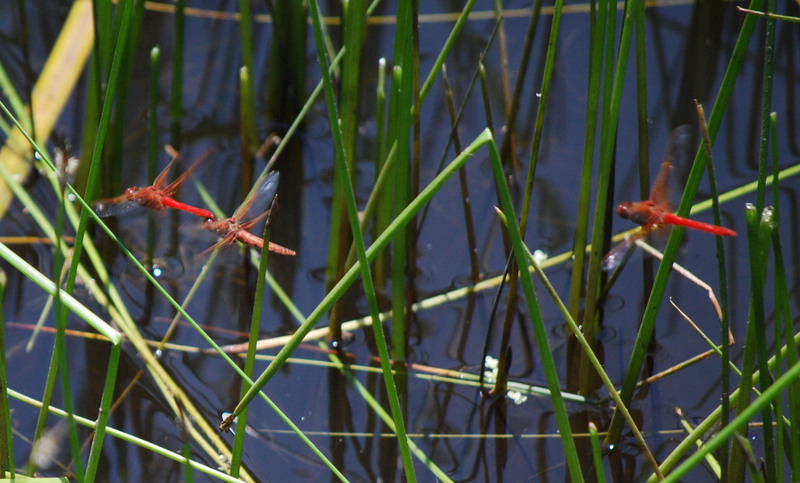 These red dragonflies appeared to be reproduction mode. 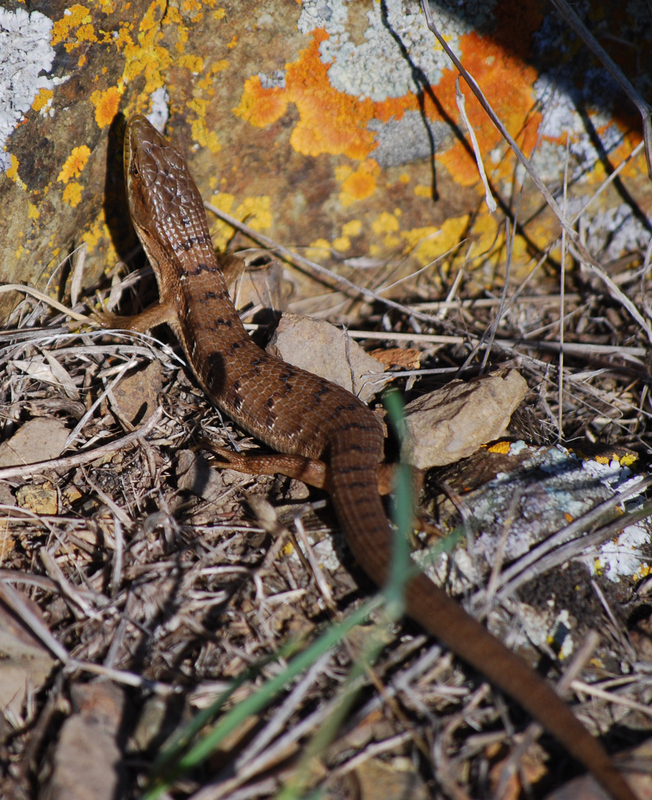 This alligator lizard was not full grown. He hid in the grass for a while before finally giving me an open shot. 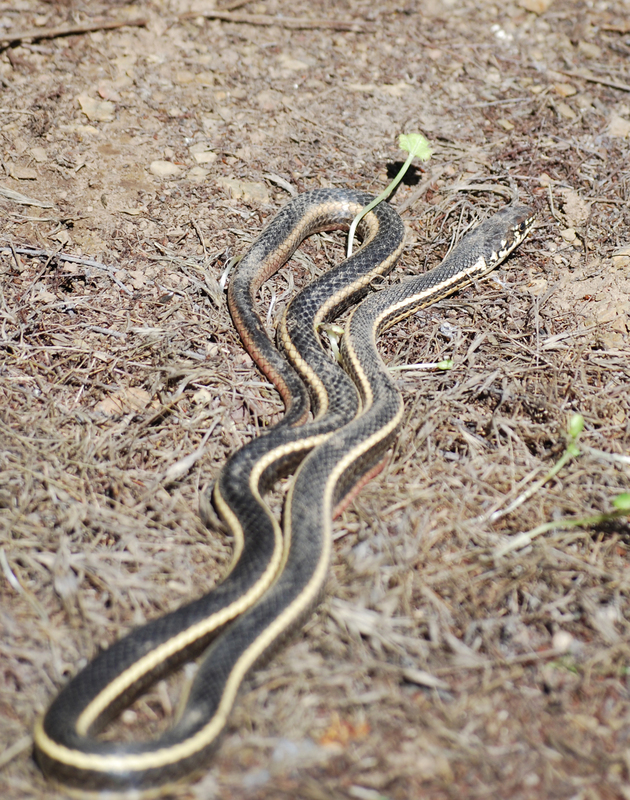 Spent Saturday looking for reptiles and I found quite a few. Here are some of my photos. 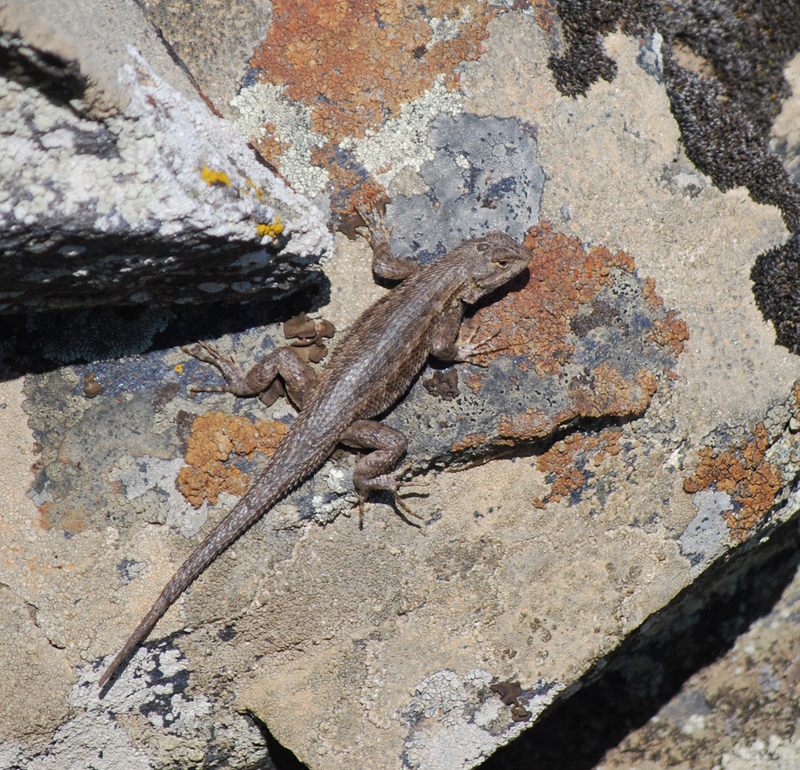 Western fence lizards were out sunning themselves on the many rock piles. Here’s a classic fence lizard. A few snakes were circulating. I found one whipsnake. This whip snake didn’t want to leave and I took several photos. 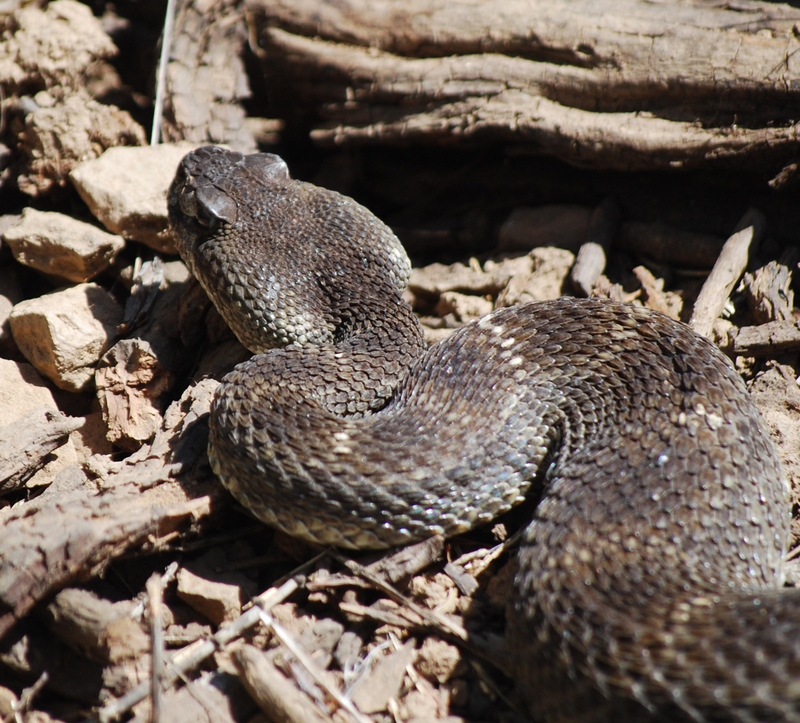 I finally came upon a large rattle snake. This guy makes a living eating wood rats. Plenty of rattles on this guy. No wood rat too big or too small for him. The next one is not a reptile, but he posed so nice I couldn’t resist. 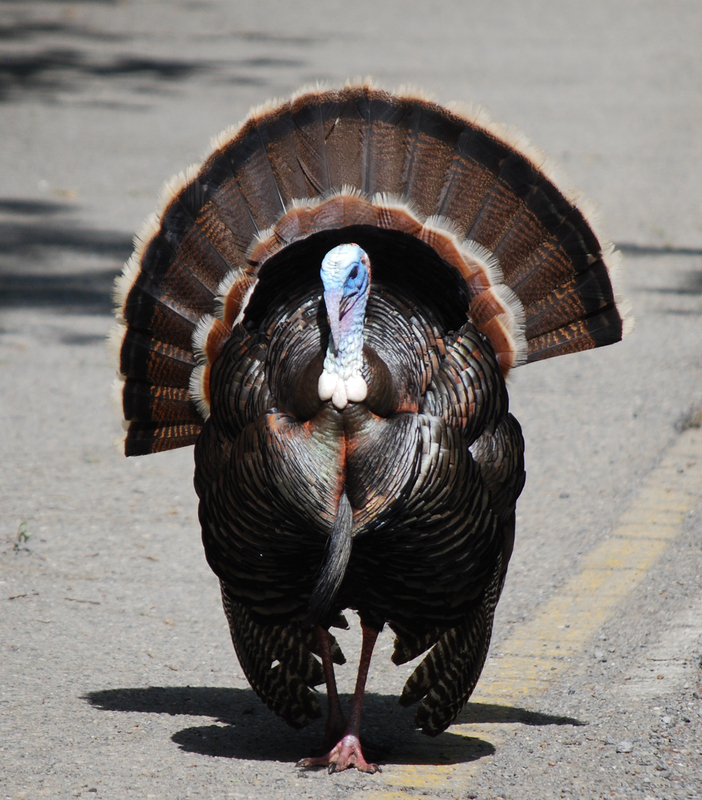 He stood in the middle of the road and strutted his stuff, but the hens must have been nesting.